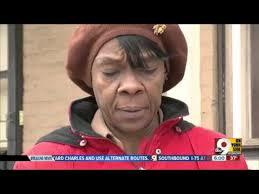 In February 2013 we reported a story from Hamilton County Ohio where poll worker Melowese Richardson admitted on camera that she voted for President Obama more than once during an election cycle. Bravo Judge Robert Ruehlman! The judge’s decision and his defense of the “one person, one vote” principle is well worth listening to (link to video below). The only thing the judge said that I disagree with is when he said that President Obama would be appalled that Melowese Richardson cheated to help him get reelected. No, I rather think that President Obama simply was appalled that she got caught. Many of the liberal election strategists in this country have worked so hard to sow the seeds of confusion and mistrust with regards to elections. Many of the so called “voting rights” laws like “motor voter” that have been implemented in recent years have made it easier to stuff the ballot with phony votes and all while claiming that it is Republicans who want to deny minorities the right to vote. Funny thing is there is never any proof that Republicans “disenfranchise” minority voters. While there is plenty of evidence that unscrupulous Democrats like Melowese Richardson have no problem cheating at election time. Feminist Nun Marguerite Kloos (likely a Democrat) pleaded guilty to committing voter fraud in Hamilton County in 2012 as did Russell Glassop (party affiliation unknown). I am sure there are examples of Republicans who have been convicted for voter fraud, but evidence indicates that majority of ballot stuffers are from a certain party.